Onboard Systems International, Inc., a leading provider of innovative helicopter cargo hook equipment, today announced that its cargo hook swing retrofit kit for the Airbus Helicopters AS350 (H125) aircraft (P/N 200-286-02) has been certified for use in Japan by the Japan Civil Aviation Bureau (JCAB). Onboard’s cargo hook swing retrofit kit provides a cost-effective way to enhance external load safety and take advantage of many new user-friendly features. The retrofit kit is built around Onboard’s signature TALON® LC Keeperless Cargo Hook, which handles a wide variety of load ring sizes and styles while eliminating the possibility of losing a load that inadvertently gets past the keeper. The integrated Onboard Weighing System allows pilots to instantly know the exact weight of their cargo, and the included fuel drain guard and built-in bumper ring with travel limits offer even greater safety improvements. 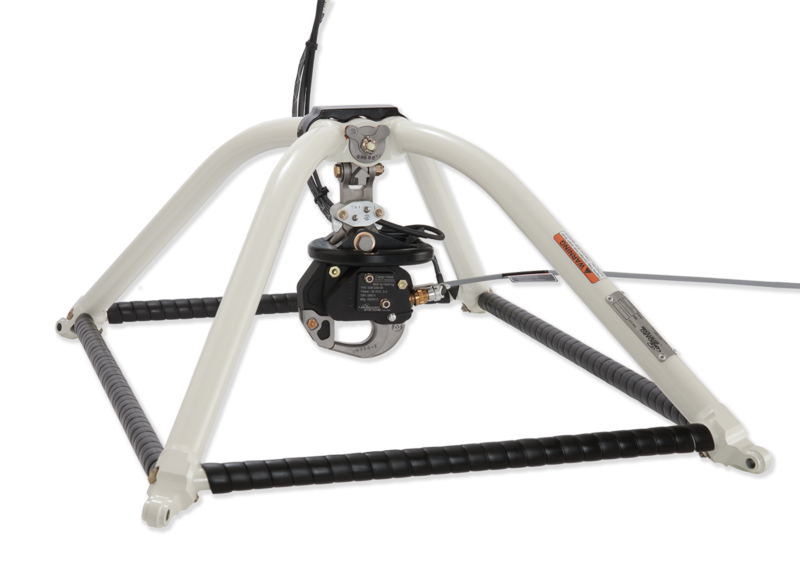 The retrofit cargo hook kit is designed to move the hard points to the landing gear clamps on the AS350 (H125), instead of the more time-consuming and costly fuel cell saddle installation. In addition, the gimbal frame for the retrofit cargo hook kit distributes weight between the four cables more effectively than a rigid frame to ensure balanced load sharing throughout the aircraft.